Although many parents like to dress their youngsters in baby shoes to make them look fashionable while crawling around the house, the footwear can serve a greater purpose once your little one takes their first steps. Babies don’t know how to maneuver around obstacles, which means they could walk over toys and other sharp objects that hurt their developing feet. Apart from avoiding scrapes and cuts, below are additional reasons babies learning to walk should wear shoes. It’s natural for babies to stumble while getting used to walking. Wearing baby shoes could help your youngster keep their balance. The soles of shoes provide a sturdy base for moving around as well as traction to prevent falling on slippery surfaces. 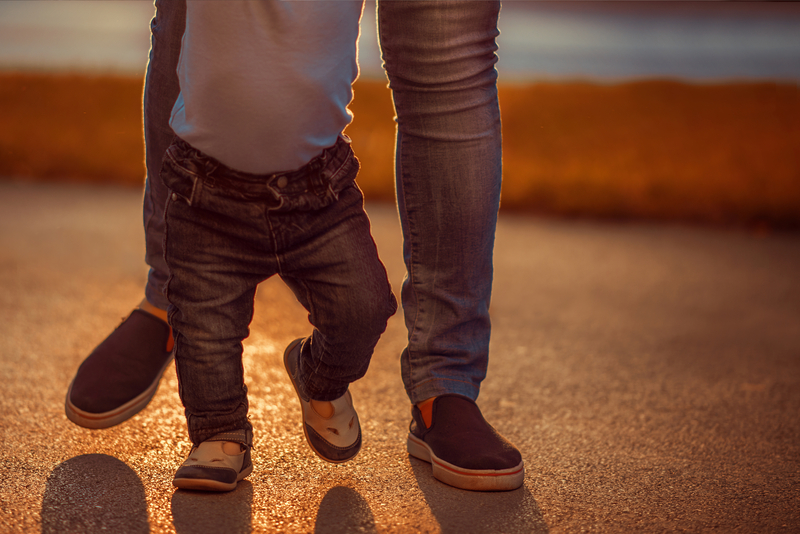 The cushioning surrounding the foot could also help stabilize your little one and help them find their center of gravity when they start to teeter. Similar to other parts of your baby’s body, feet gradually develop over time. The cartilage in your little one’s feet slowly turns into bone, which hardens over the first few years of life. This means bones are still soft when youngsters start learning to walk. Moving and bending feet while wearing baby shoes helps build arches and gives developing muscles a workout, ensuring they grow to be strong. Once your baby becomes more stable on their feet, you might let them start attempting to walk outside. You’ll put shoes on their feet to prevent injuries. Wearing footwear inside the house allows your child to familiarize themselves with the feeling of having their feet enclosed. This will make it easier to adjust to walking outside later. If you are looking for comfortable, flexible baby shoes to help with your child’s transition to walking, call Pediped Infant Footwear in Las Vegas, NV. The store carries newborn, infant, and toddler shoes to protect your child’s feet during the first few stages of life. To learn more about the selection of newborn and infant footwear, call (702) 564-2246. A sales associate will provide advice to help pick out the right shoes for your youngster. You can also shop for merchandise on the retailer’s website, and follow the store on Facebook to learn about special offers.